Virtually modeling the Disneyland Railroad! 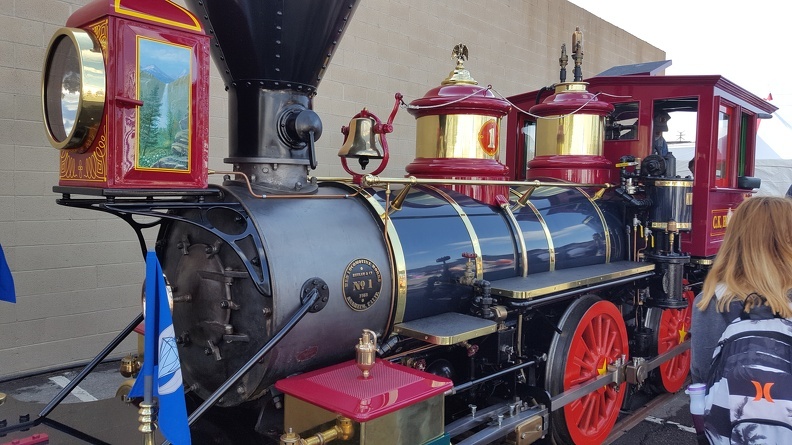 Last month, the CK Holliday made a very special appearance at the 2016 Fullerton Railroad Day. It was a momentous occasion because it was the engine’s first public appearance in quite a few years. Why the disappearance for so long? The Holliday recently underwent an extensive refurbishment at the Hillcrest Shop in Reedley, California. The engine received a new boiler, new plumbing and appliances, and many more improvements and changes. Indeed, she’s the “newest” that she’s ever been, since 1955 when she was “actually new”! This is truly an exciting moment for the engine. Trivial rumors might also suggest that Pixar’s CEO John Lasseter had some say in the direction of the refurb, given that he’s an avid train fan and the Hillcrest Shop did work for him before. 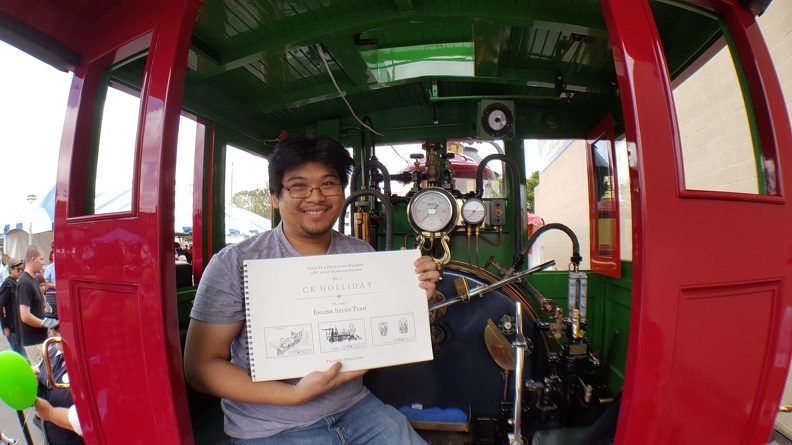 This entry was posted in CK Holliday build, CKH Plans, Steam Engine Simulator by preston. Bookmark the permalink. I really liked your videos of the Disneyland Railroad Simulator. I think you should make another video with engine number 2, the EP. Ripley! Could I download the Disneyland Railroad Simulator when it’s out or do I have to buy it? When the Disneyland Railroad Simulator comes out, every time am I gonna have to hook up the external steam or no?